Choral singing, Kören, is a popular pastime in Sweden all year round. In Spring on Walpurgis Eve, virtually every choir in the country is busy singing traditional songs of spring is widespread throughout the country. The songs are mostly from the 19th century and were spread by students' spring festivities. During the summer, the TV show "Sing from Skansen" collects the whole Swedish population as their viewers with midsummer singing games and drinking songs. In December, it is time for Lucia, or Luciakör who hosts a popular Holiday Choir. The Swedish Choral Miracle, “körundret", is surprising for a small country like Sweden. An important backdrop to the "körundret" is located in the major popular movements that emerged in Sweden around 1800. The temperance movement, the Christian revivalist movement, and eventually also the labor movement used the choir as a way to share their ideas and create community. Choral singing today has become more commonplace; you do not need to be a professional to sing. Instead, you can select a choir that fits one's level, interests, music taste and context: male choirs, female choirs, school choirs, company choirs, senior choirs, and everyone-can-sing choirs! Designer Åse Öjbro, founder of Öjbro Vantfabrik, has created wearable art with mitten as her starting point. Åse worked as a painter in many years before she decided to express herself in wool instead. 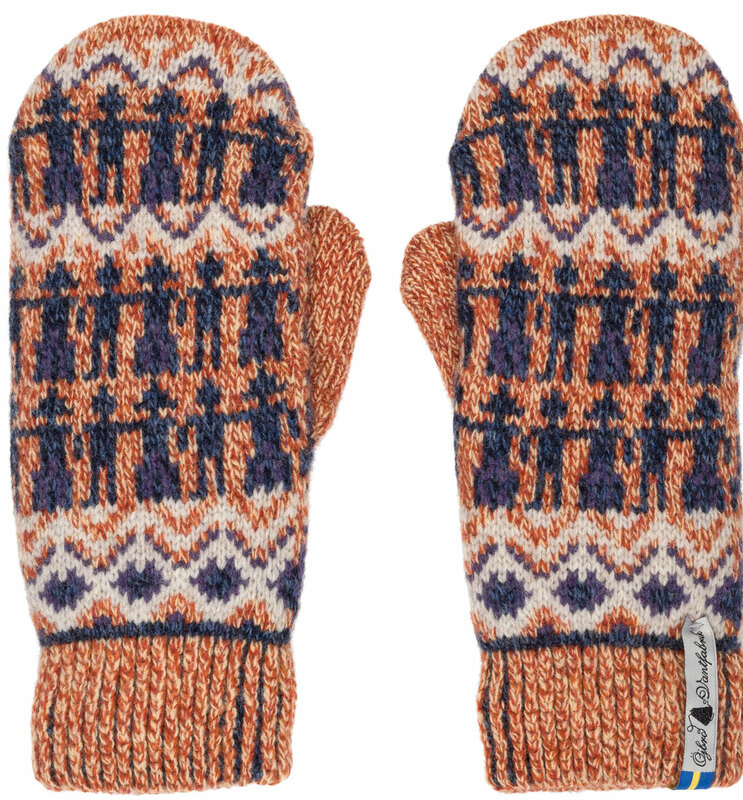 She has created these pattern design considering precisely the universal nature of music on the front side of the mitten showing a choir singing in a folklore setting. With a two color cuff at the wrist, the inside palm has an alternating nail dot pattern. I wanted to portray the feeling of community that these talented singers feel when they sing together. Singing in choir is really a “feel good” recreational activity. 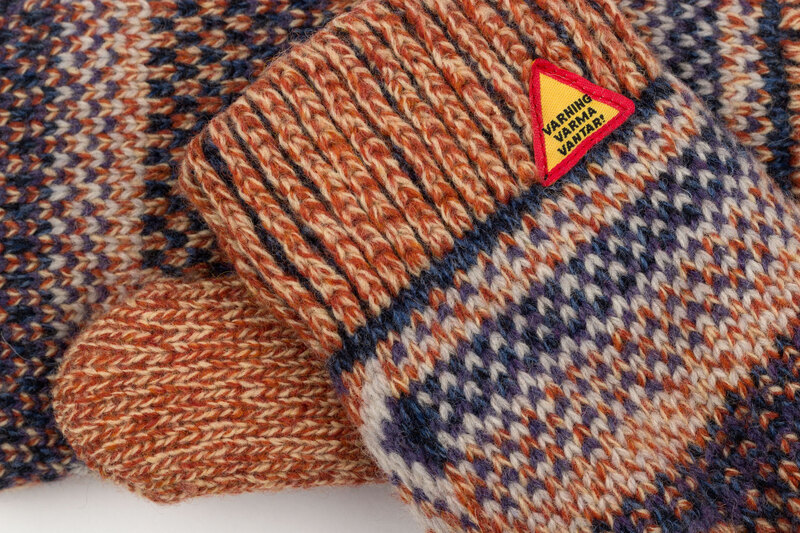 The outer mitten shell is 100% merino wool and the patented 3 layer polyamide inside creates the Öjbro 3 V-Swedish: ”Varning: Varma Vantar” ===== "Warning: Warm Mittens." 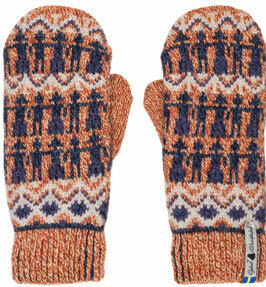 We know you can't try these mittens on in cyberspace, but we can share with you our customer experience. 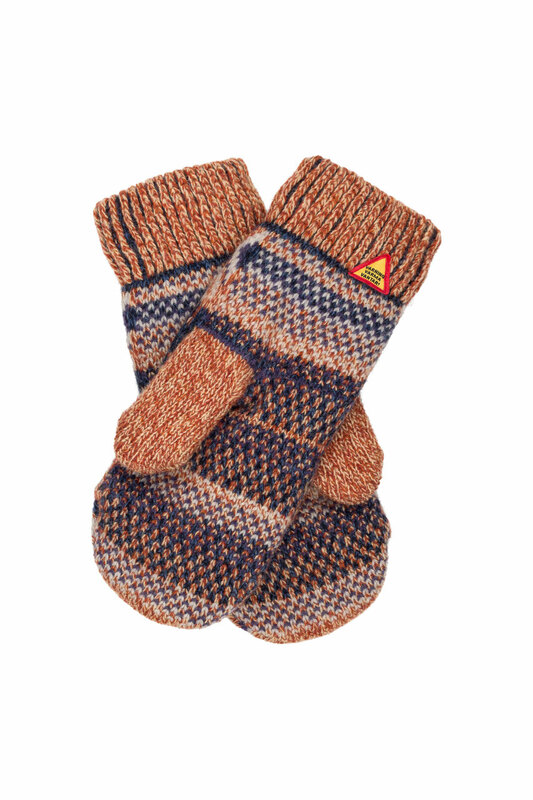 We held 12 trunk shows this summer and every one of the fifty or so men and women loved the warmth, softness, and design of these Öjbro Vantfabrik wool mittens and wanted to buy them on the spot; we took advance orders instead! 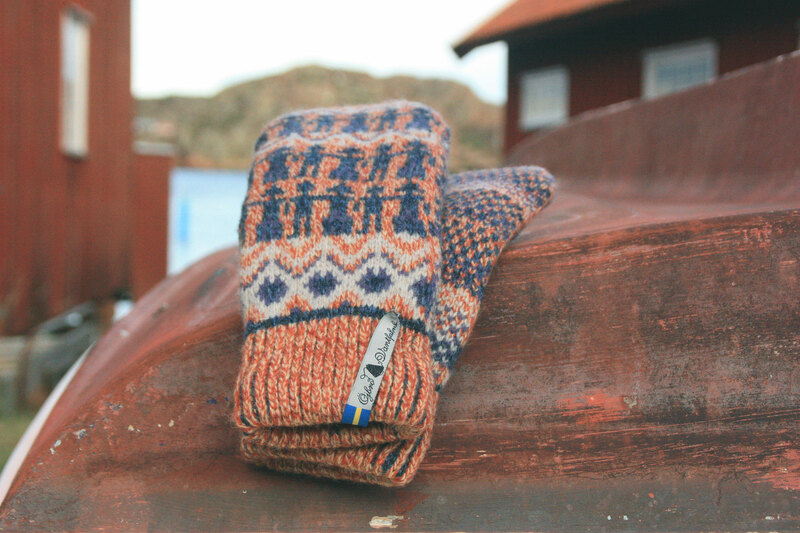 Now finally in America, from Ted and Åse Öjbro and only at Sweater Chalet. Knitted in Sweden in Ted Öjbro's small family factory of 100% ORGANIC merino wool, excepting the inner patented 3 layers of polyamide.